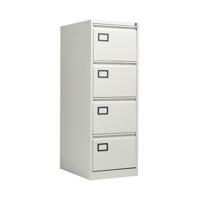 Store your files and documents safely and securely in this stylish, four drawer filing cabinet. 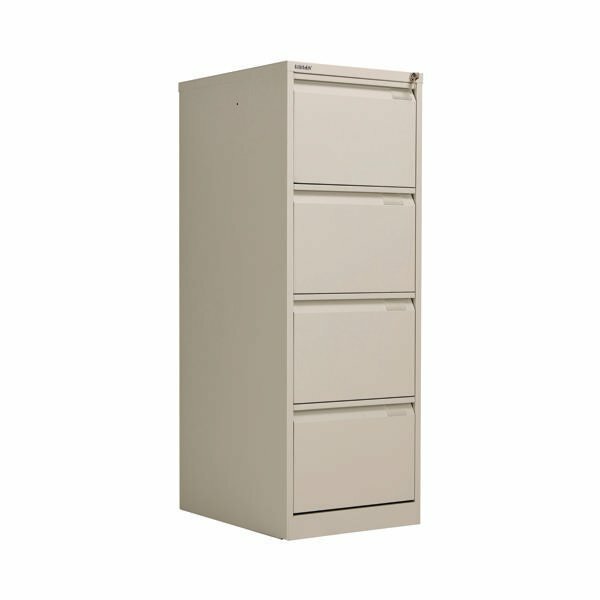 Made from robust material and featuring an anti-tilt mechanism it offers sturdy support ideal for everyday use. Each drawer can be fully extended for ease of access and are mounted on smooth, rollerball runners that enable you to open and close them effortlessly. 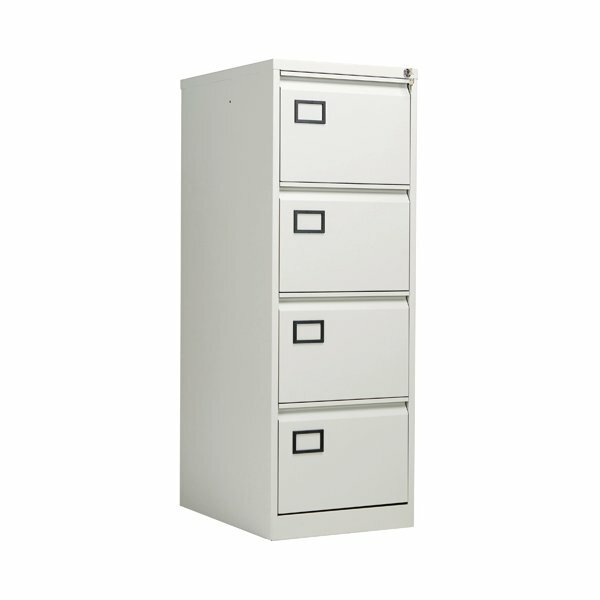 The cabinet can be locked offering ultimate security for your confidential papers.